Shawn Moren has over 25 years of senior level HR and business experience in private and large public organizations in the retail industry. She thrives and specializes in massive change environments, including high growth and turnaround challenges that require quick transformation. She has a passion for change, practicality, and improving the lives of people. She is currently the SVP of Artistic Education and CHRO of Regis Corporation where she is responsible for human resources, communications, and artistic education for this $1.2 billion retailer with over 40,000 stylists nationwide. During her tenure at Regis, she has increased revenue by doubling the amount of stylist applicant flow and developing new commission plans. She also developed a new digital training platform delivered solely through social media. Prior to Regis, Shawn was head of HR at Bluestem Group, where she transformed the company from being a relatively unknown employment brand to breaking into the top 20 of Minnesota “Top Workplace” rankings. She also created a community relations strategy that doubled corporate contributions and increased public perception of the brand. When the company entered into financial difficulty she developed a restructuring strategy that enabled the company to begin paying profit-based incentives within one fiscal year of the financial troubles. She spent much of her career in leadership roles at grocery retailer, SUPERVALU Inc. where she rotated through all senior level HR roles, including VP, Compensation and Benefits, VP, Talent Management, and Group Vice President, Human Resources. In her early career, she held positions in labor relations, sales, and employee relations in large retailers including Best Buy and Ashland Oil. Shawn holds a Bachelor’s degree from the University of Kentucky and a Master’s of Business Administration from Eastern Kentucky University. She resides in Minneapolis with her husband, Mark. In her free time, she volunteers her time as an auctioneer for charity organizations and is a guest speaker for the University of Minnesota HR Doctoral Student Education. Maximizing profit is a continuous challenge when it comes to any business. More than ever HR’s role is becoming an integral part of altering the mindset within an organization to ensure processes are driven with the overall objectives of the business. 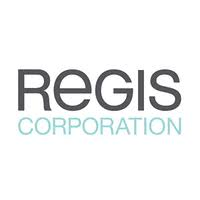 Shawn Moren, CHRO, with Regis Corporation has been given the opportunity to sit at the business planning table with creation of her own approach driven by the demands of investors. Moren will take us through the planning process and discuss her insights as to how using a shareholder lense to evaluate talent creates an ROI for succession planning will allow the company’s most important asset to be utilized at its fullest potential, human capital. Check out the incredible speaker line-up to see who will be joining Shawn.